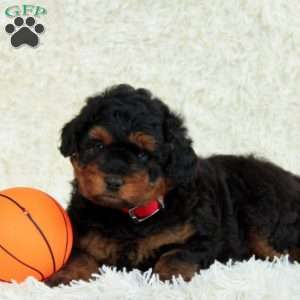 This fun loving Mini Goldendoodle puppy is excited to find his forever family. Garvin is super friendly and is family raised with children. 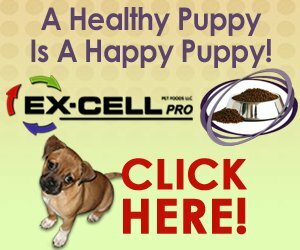 He is vet checked, up to date on vaccinations and dewormer, plus comes with a health guarantee that is provided by the breeder. This spunky pup is sure to bring you joy. To welcome Garvin into your loving home, please contact John today. 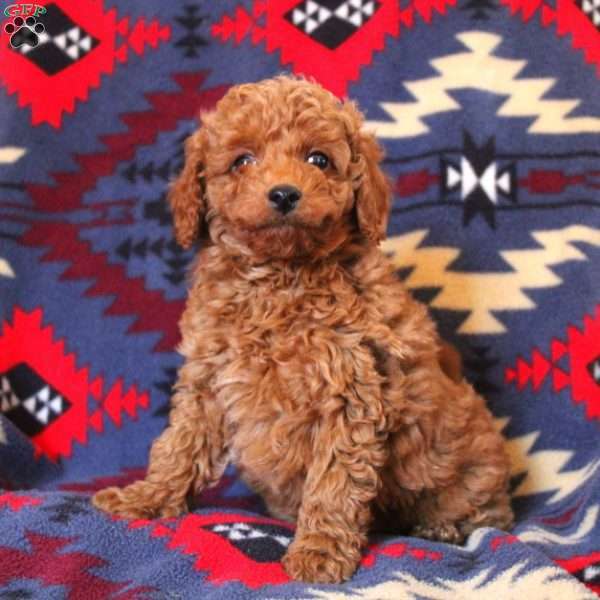 $1,025.00 Miniature Poodle Mix Puppy Our Puppy of the Day! 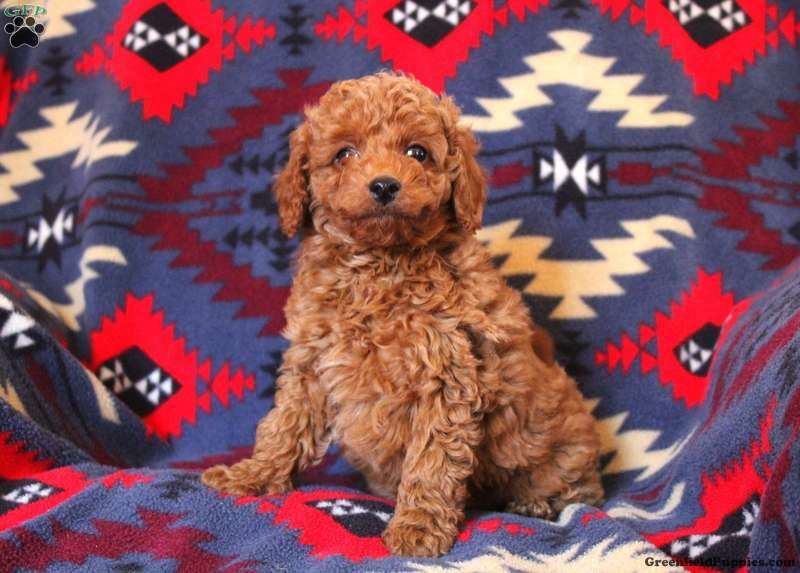 John Smucker is a breeder located in Strasburg, PA who currently has a litter of Mini Goldendoodle puppies for sale. They are family raised with children and come with a health guarantee. Please contact John today to learn more.